I do stick all those capital letters in there on purpose to keep you on your toes. Just kidding. I have a bad habit of capitalizing out of the blue. I will be rereading my work and find capitals everywhere! That is everywhere except where they should be. I also have a bad habit of not capitalizing I. Gosh how many times have I put little i instead of I or ill instead of I’ll. I get in a rush and leave off apostrophes, and of course, I have issues with commas as well. I found something that helps with the comma issues. I use a software called Grammarly. It is an editing software that helps me with most of these things (except the capitals littering my work.) Grammarly has helped me cut back on my commas and get them in the right place. I am not recommending using this in place of a real life editor. I use it as a tool to help save my editor time to mess with all that small stuff. Now she can focus on eliminating my capitals! I am also very wordy. I tend to like descriptions and writing about food. Every story I write has several meals in great detail. I don’t know id this is a problem or not. I have trouble finding ways to stop saying but or so, or as if. I have come a long way in two years, after writing my first story for a story blog. I know I still have a lot to learn. Thank goodness for editors and their patience to work with me and all my issues! I can tell my story, and they can help me find all of those goofs! I will give them job security. Do you use a writing software along with your editor? Readers, do you like to read about things such as meals and descriptions of the settings and characters? What is overboard? 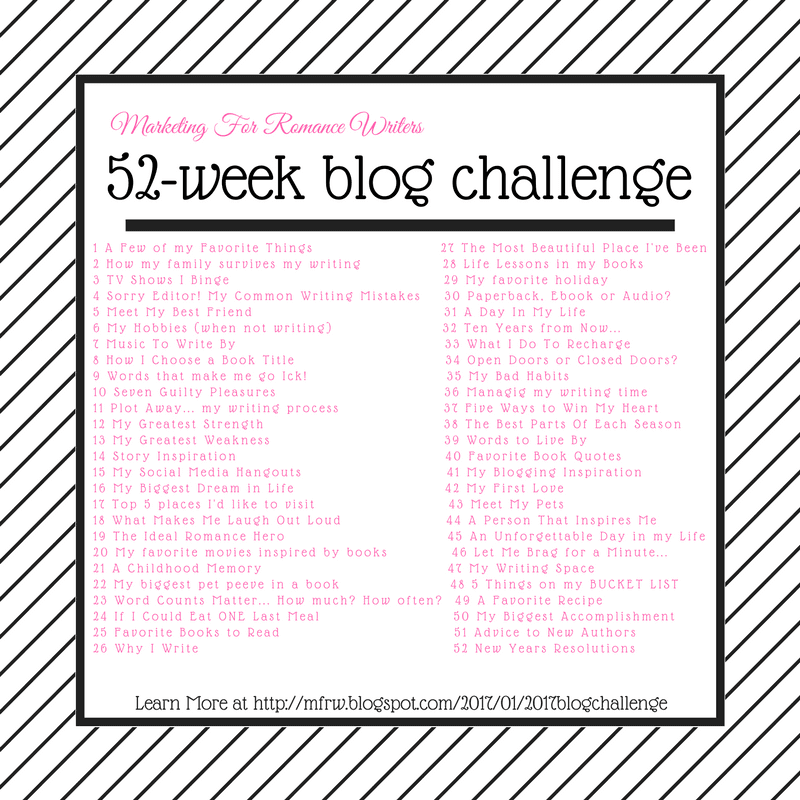 The MFRW challenge is designed to help authors blog consistently, thoughtfully and with purpose. We have a list of topics and post each Friday. Anyone can join at any point in the challenge… Authors FOLLOW THIS LINK TO LEARN MORE AND JOIN THE CHALLENGE. Readers, I hope you enjoyed my post. Check out all the other bloggers below to find out their biggest editing problems. I am curious, are you? Do You Have Common Writing Mistakes? Here’s Mine. .
She Smirked As the Very Handsome man approached. . . I use Grammarly too. My heroines always have some kind of food lust. Especially for sweets. LOL!!! I am glad to meet someone that uses Grammarly too. LOl on the sweets! This is the second post today I’ve read that recommends Grammarly. I am definitely going to check out this program. Thanks! Thanks or stopping by. I love Grammarly. I have so many issues and some mental issues I need a boost. This way I can let loose then go through and correct the stuff like commas, misspelling and common stuff before sending to my betas and editor. I use the premium version so I can use it in word. I’ll have to check out Grammarly, too. Great post. Thank you for stopping by. Let me know how you like Grammarly! I haven’t tried grammarly but am glad to hear of it. I like to use WriteWay, although I have not mastered the full extent of it with a current work. Thanks for stopping by Robin. Grammarly doesn’t help with the overused words like Just and That. it does mark the LY words like really and actually and commas. It also marks run on sentences and lots of other things. Check it out!